What a game! 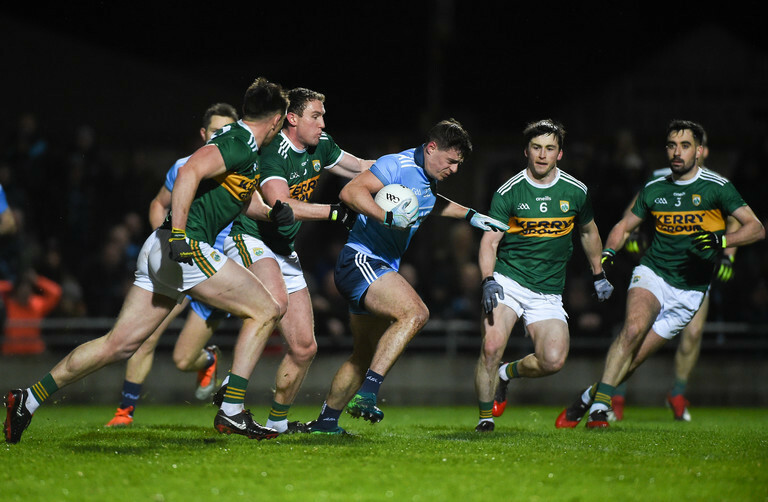 Kerry have defeated All-Ireland champions Dublin in a thrilling Allianz league clash this evening, coming out on top on a scoreline of 1-18 to 2-14. It was a fantastic display from a Kerry side featuring a number of unfamiliar names, in what felt like a real coming-of-age performance. Despite being only three league games into his reign, Peter Keane has already had a telling effect on this team. Once criticised for their soft underbelly and lack of control in the full back line, Kerry now seem a much more organised outfit. They work hard, are explosive and tough, and give very little away. While they did let in two goals tonight, there can be little argument with the improvements they have made in the defensive areas of the field. All of this has also been accomplished without conceding too much in terms of attacking threat. Registering 1-18 against this Dublin side is no small feat, and their transition from defence to attack was mesmerising at times. The arrival of former minor boss Keane on the senior scene has unsurprisingly coincided with a growing role for some of the underage stars from recent years. Dara Moynihan was named as man of the match for his efforts tonight, putting in the type of all action display that will greatly excite those in The Kingdom. Moynhian won a minor All-Ireland under the tutelage of Keane in 2016, and that type of progression is always encouraging to see in any county. Other youngster such as Sean O'Shea and Tom O'Sullivan also put in strong performances, and it appears the fruits of underage success are finally starting to bloom. Keane showed his tactical nouse too. Kerry repeatedly targeted the undoubted weak spot in this Dublin team: delivering high ball into the edge of the square. It was through this method that they would score their only goal of the game, which came through Stephen O'Brien. It appeared as though the result was secured after Michael Fitzsimons was sent off for a second yellow in the 64th minute, a time when Kerry were four points in front. Dublin were never going to take this one lying down, however, and managed to level the game in injury time. While other would have wilted, Kerry picked themselves up one final time. The winning score would come from corner back Peter Crowley, demonstrating the courage of the Kerry team showed despite the incessant pressure from the Dubs. That resilience will perhaps will be the most pleasing aspect for Keane, and it shows that his young guns can perform when the pressure is on. After such a high charged and emotional affair, it was perhaps unsurprising that there were some unsavoury scene after the final whistle. FT: Kerry 1-18 | 2-14 Dublin. What a game at Austin Stack Park. That win means a lot to @Kerry_Official. We do not yet know the significance of this performance from Kerry, but they can only take encouragement from this outing. Peter Keane seems to have made a major impact already, on both the youngsters and the more established veterans. Whether that can continue deep into the summer remains to be seen, but there definitely seems to be something major brewing in The Kingdom.